The best way for you to learn mold design would be to work for a company that designs and makes a lot of molds. Do some research and try to get a job with a mold company that has a very good reputation. Try to find someone to learn from that has a lot of experience, good working skills and knowledge of mold design, and then learn everything from him or her that you can. While having an education is good it will not give you everything you need to be a successful mold designer. You can learn to use CAD software and get a general idea of how molds are made in school but there is nothing like real life hands on experiences in the factory to learn from. It's not so difficult to learn the mold design. First of all, you should have the knowledge of mechanical or something related about engineering. 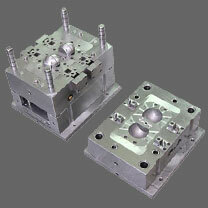 Secondly, you try to find a job on the mold making factory and get some real experiences on mold making. In this way, it can make you know how to design the mold is the best. Step by step, then learn the software and try to design the mold in the CAD. If you have some friends with a lot experiences on you back. You can be a good designer in a short time (2 or 3 years). Software is only a tool, the most important thing on mold design is knowledge and experience.